...noteworthy ... On a line-by-line level, there’s nothing particularly flashy about Li’s prose, but there’s a comfortable fluency to the narrative, and she tenderly captures the little intimacies between people that tell us everything we need to know about their relationships ... As such, Number One Chinese Restaurant makes for joyful reading, Li carefully twisting her narrative in and out of her characters’ lives, tightening their entanglements while also exposing the stories behind three generations of the American dream ... funny, tender, and tragic ... a perfectly seasoned delectable dish of a debut. So expertly does first-time novelist Lillian Li conjure the Beijing Duck House...that readers of Number One Chinese Restaurant can almost taste its signature dish and feel the heat of its woks ... Number One Chinese Restaurant, by turns darkly funny and heartbreaking, is sometimes over-plotted, but Ms. Li brings her characters to vivid life. 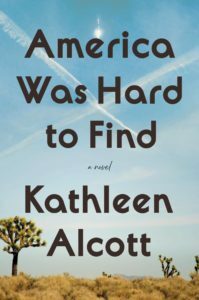 ...distinctly showcases her literary pedigree in this raucous, bittersweet non-love story across cultures, generations, morals, and other seemingly impossible divides. ...[a] darkly hilarious debut novel ... The novel is tense from start to finish, taking place mostly in close quarters, indoors and internally ... The pacing is as quick as an industrial kitchen over dinner service, jumping from one emergency to the next. There is a wild fierceness to Li’s writing ... The flavor of Number One Chinese Restaurant is anything but typical, as Li combines broiling anger and slow-simmering love in delicious proportions. Though lightened with comedic moments, the quiet tragedy of familial resentment lies at the heart of the story. Li focuses steadily on the troubled relationship between immigrant parents and their American-born offspring ... A smart combination of Chinese American life, service industry travails and the ups and downs of belonging to a family, Number One Chinese Restaurant will make great discussion fare for book clubs. This is Li’s debut, yet she writes with a confidence that suggests decades of experience. Descriptions are imaginative and evocative ... This is an insightful and elegant novel, beautifully written and with an impressively large and diverse cast of characters. In the Beijing Duck, Li has created a symbol for the real Chinese restaurants through which many immigrant families have established themselves in America. Li goes right into the action but is tentative about how to navigate it; the pacing starts out as frantic as the restaurant, struggling to establish a consistent tone around chunks of exposition. But stick with it: Li’s talent for human tragicomedy grows more evident by the page. Her characters — Nan, the venerable restaurant manager on the brink of disaster, especially — come alive, and her erratic plotting consolidates, leading to a cogent finale. By the climax, Li generously realizes the dreams, the regrets, and the resilience of a family holding on to its American dream, hoping it doesn’t slip away. Although Li’s prose can be uninspired ('the trouble with life was that life needed trouble'), more often it engrosses, especially when she allows the external world into the virtually airtight space of the restaurant ... For the most part, though, Li’s fictional America is suggestively insubstantial, her characters seemingly unable to step outside 'the shadow of the Duck House,' itself a metaphor for their 'Chineseness' in the United States — whether perceived or self-imposed ... [a] novel of our time. The book is overloaded with action but it does not, for the most part, detract from Li’s achievement in creating a vivid world full of sensual imagery. She is, as one would expect for the subject matter, particularly strong on taste and smell ... The details of the restaurant world are finely chosen, from the 28 slices that make up a Peking duck, to the action in the kitchens ... Li frequently mines the restaurant world for humour ... But she also incorporates more insightful observations ... Her prose is colourful and unforced, with an easy flow that makes up for the voice hopping and slightness in perspectives ... a debut novel whose lessons can be savoured. Despite the novel’s leisurely plotting, Li vividly depicts the lives of her characters and gives the narrative a few satisfying turns, resulting in a memorable debut.